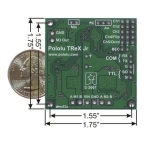 This lower-power, smaller, and lower-cost version of the TReX is the ultimate general-purpose motor controller for small motors: it has a wide operating range (5 to 24 V), delivers 2.5 A continuously per motor, provides current sensing on the two main channels, and it features the TReX triple interface that allows you to control motors from a serial line (RS-232 or TTL), radio control (RC) receiver, or analog voltage source such as a potentiometer. 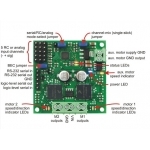 The TReX Jr Dual Motor Controller, a lower-power version of the TReX Dual Motor Controller, is a versatile DC motor controller designed to seamlessly blend autonomous and human control of small robots. 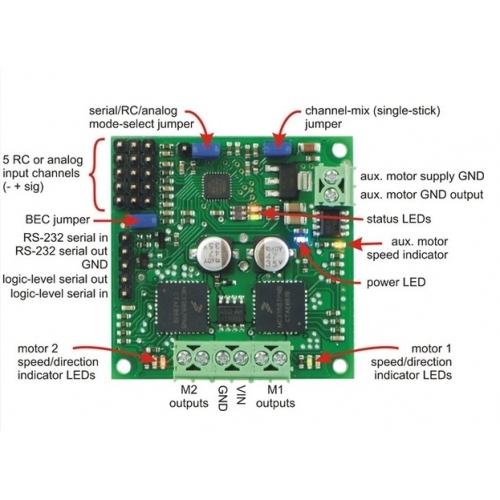 The TReX Jr can control two bidirectional and one unidirectional motor via three independent control interfaces: radio control (RC) servo pulses, analog voltage, and asynchronous serial (RS-232 or TTL). 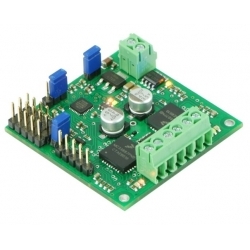 The serial interface can switch instantly with one of the other two interfaces, allowing mixed autonomous and remote control. For example, a robot could be configured to run autonomously most of the time, but a human operator could override the autonomous function if the robot gets stuck or into a dangerous situation. 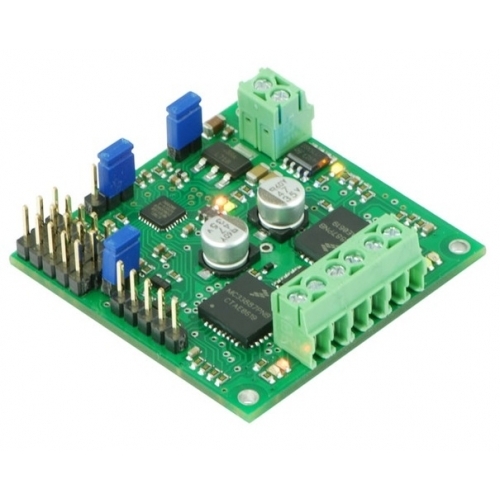 If the serial mode is selected as the primary interface, high-resolution measurements of all five channel input signals (be they RC pulses or analog voltages) are made available to the autonomous robot controller, allowing for complex and unlimited mixing of operator control and sensor input. 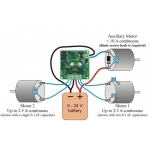 For example, the TReX would be a great motor controller for a remotely controlled balancing robot. 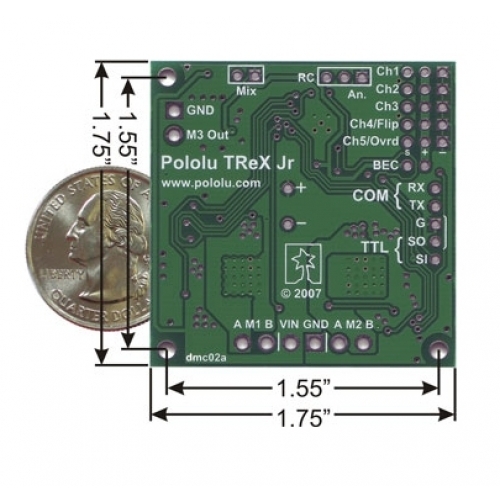 Note: The TReX Jr does not require use of the serial interface to function; it will work right out of the box as an electronic speed control (ESC). You will not have access to the full suite of features the TReX Jr provides if you do not make use of the serial interface, though.